It’s amazing how fast time starts to fly the older you get. I found myself looking up at the calendar in shock this year. Can you believe it’s almost the end of April already? And Spring has come, bringing with it freshness and renewal with each new day. Renewal. It’s the perfect word to use for Spring. All the renewal of life around us is breathtaking. From the tiniest bunny we saw last night in my neighbor’s yard to the flowers on the trees, it all points me back to God’s love and care. 2 Cor. 4:16 …but though our outward man perish, yet the inward man is renewed day by day. 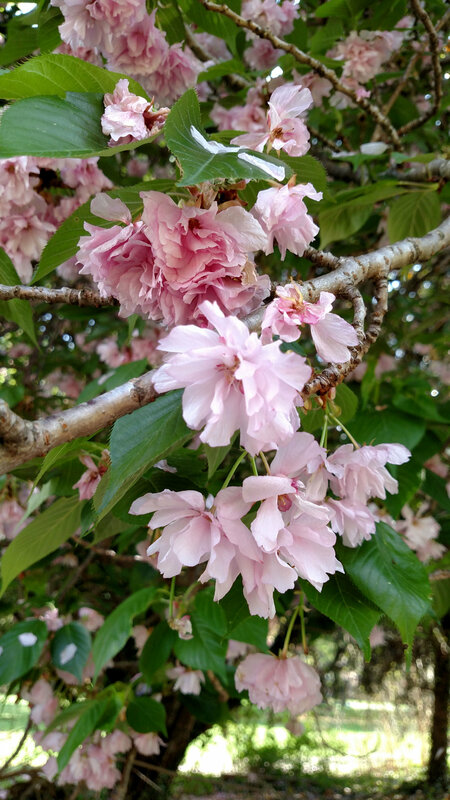 I have a renewed mind with the fresh spring breezes and the scent of lilac and cherry blossoms in the air. It opens all kinds of possibilities, one of which is Book 3 of my series: brewing in my mind even right now. Thank you, Lord, for renewing us every day…and for using the spring to remind us that you can make all things fresh, inside and out. Do you feel renewed this spring? Beautiful picture. Thanks for giving me that present. Yes I have been feeling renewed and rededicaded to following our Savior. My church has started going through the book of Ephesians; it seems like I can’t take notes fast enough. Then I go back over them for a separate devotional during the week. Now I feel like I can hardly wait to talk to Paul about it. That’s a great idea to use notes from church as a sort of Bible study through the week, Elizabeth. Thanks so much for sharing that with me! I think I’ll try it with my notes. I totally agree, Edye. I always see God in the perfect, unique design of each one. Thanks for stopping by!